It's not spoiling it to say that I hated it. Same. 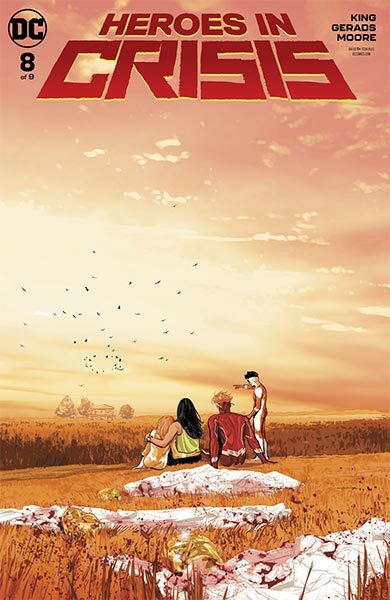 Im kinda gobsmacked they figured this would be the ideal follow-up to Rebirth. 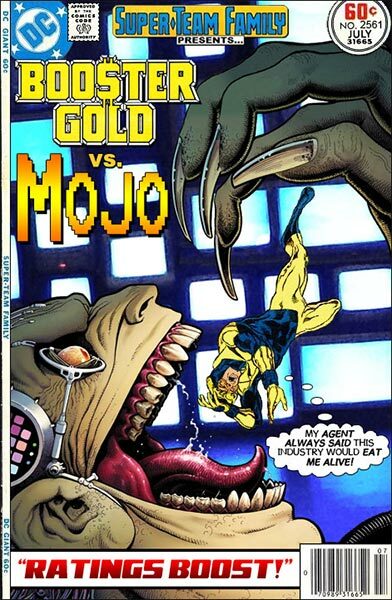 If there were six villains, and Booster Gold defeated two of them, how many villains remain? 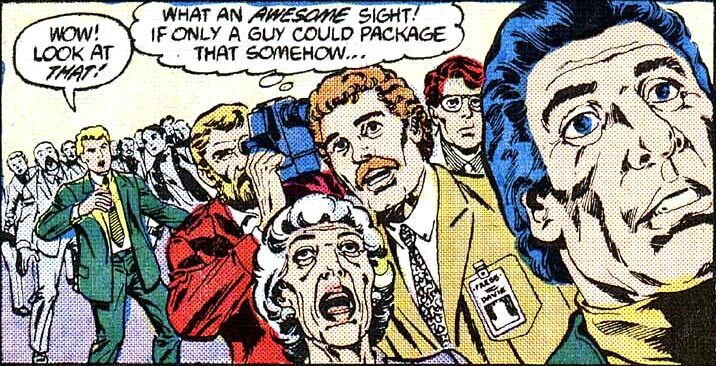 If Booster Gold gave seven news interviews and then gave seven more, how many interviews has he given in all? 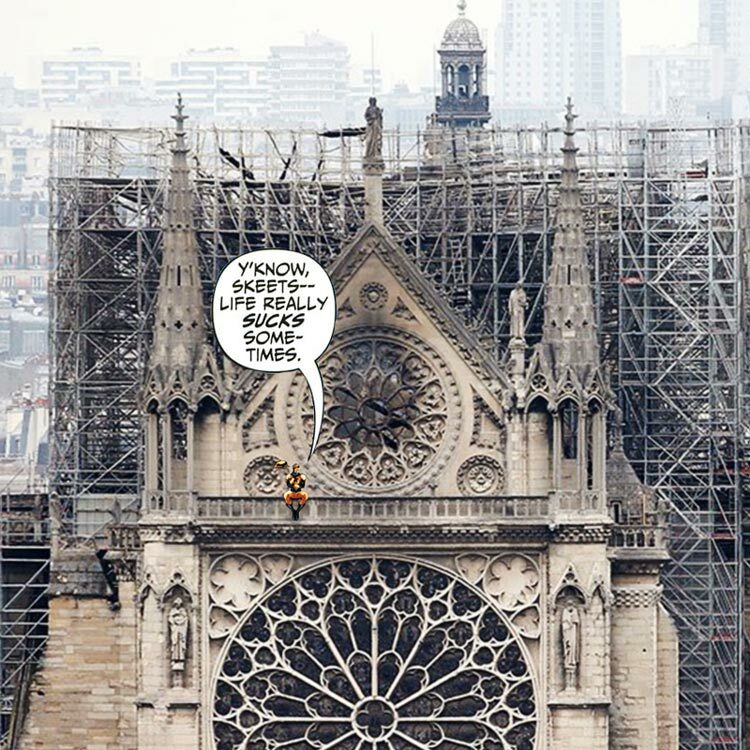 You don't have to be French to be disheartened by the collapse of Notre Dame's center spire during Monday's fire. The building means a lot to students of art and history the world over. For over 850 years, Notre-Dame de Paris has played a significant role in French history. It has seen countless weddings and funerals. Napoleon was crowned Emperor there in 1804. Its statues and stained-glass rose windows have inspired novelists, poets, and painters. Needless to say, it has seen better days. It doesn't take a time traveler to know that Notre Dame will rise again. Godspeed, Our Lady. Damn. Notre Dame is over 850, and the Al-Aqsa is nearly 1000 years old. It's hard for an American like me to put buildings that old into context. By comparison, the venerated "historic" old courthouse in the center of my town is only a measly 115. 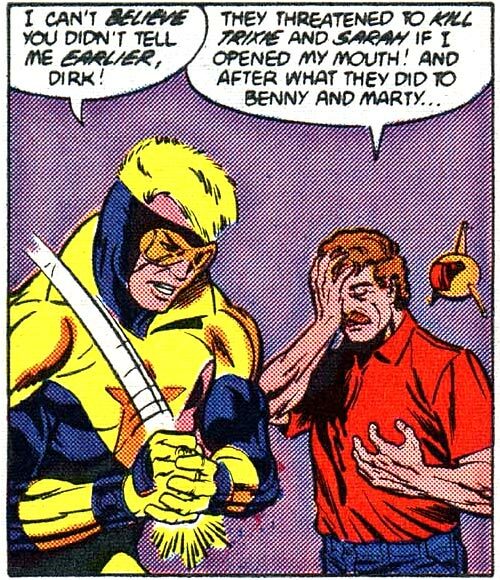 Booster Gold is an atheist. Why the heck would he care about a church? Notre Dame is far more than a church. It's a cultural touchstone, a work of art, and site with some pretty significant ties to European history. You don't have to be a Catholic to be disappointed that it has been terribly damaged. Or maybe he just likes Disney movies. If a villain held three hostages and Booster Gold freed two of them, how many hostages remain? If a villain held eight hostages and Booster Gold freed eight of them, how many hostages remain?